Are you already stressing about how you are going to get through the hustle and bustle of the upcoming holidays season? 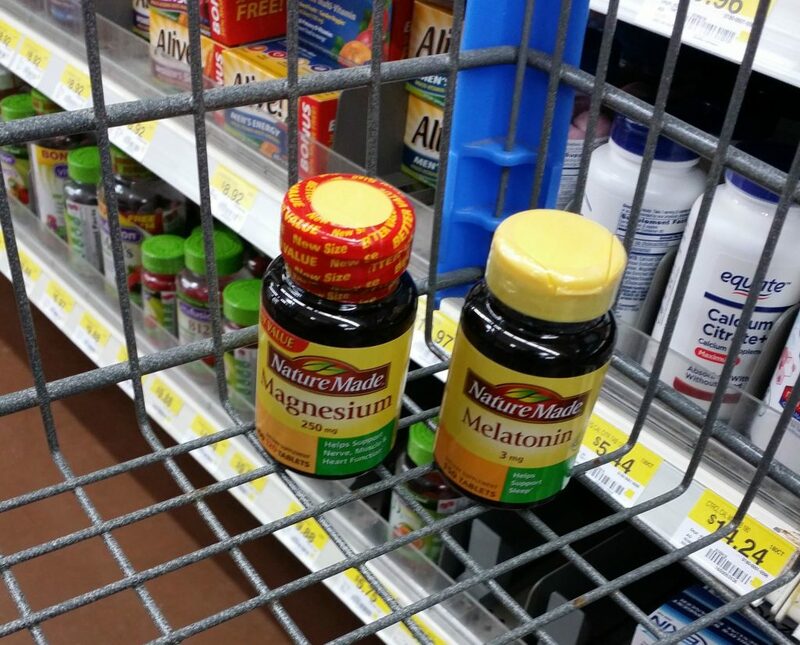 Fear no more, I got you covered thanks to Nature Made® and Walmart. 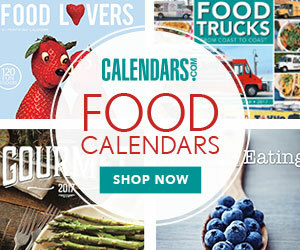 You CAN live a healthy lifestyle through the holiday’s and beyond. Take time for yourself this holiday season. Enjoy the sights and sounds. I always love turning down the lights in the living room and listening to Christmas music to the beautiful glow of our Christmas tree. I enjoy reading and even quiet time. Throw in a few naps and that should recharge you. The big thing to remember to do is let go of the stuff you can’t control. It may feel like a ton of things to do and prepare for, but enjoying the holiday season is important too. If you are over stressed the season will just pass you by. Stick with your every day healthy habits. Healthy habits are always important no matter the time of the year. There a few that help with coping with holiday stress. Staying hydrated is key. Water is so important for staying healthy. It really can’t be said enough – drink lots & lots of water. Your body requires water to function. It’s essential to make sure to drink enough throughout your day. I always have a water bottle or my favorite Tervis tumbler that I keep filled with me where every I go. I feel lost without it. Another very important key to dealing with holiday stress is – SLEEP! I try to have a good routine before bed. Sometimes it can be very difficult to shut off our minds and truly rest. Without it though, we can all be grouchy beasts. No fun for anyone! In my experience feeling rested isn’t always how many hours I sleep, but the quality of rest. Try to relax before going to bed. Read a good book or color (try the mandala coloring relaxation technique) before you close your eyes – do not make lists of things to do right before bed time (saying from experience lol). Make sure you stay active and keep up with your healthy exercise routine. That is different for everyone. What works for you may not work for someone else, but this really does help with holiday stress and winter blues. 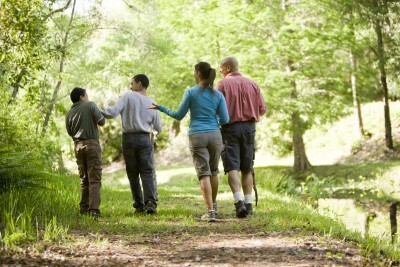 Staying active helps relieve stress. Plus it’s great to do as a family. It is an excellent coping technique in everyday life, let alone during this busy time of the year. Oh, and this helps you actually get a good night’s sleep 🙂 bonus. Something that helps me stay healthy are essential oils. I pull them out whenever I get a headache, others help relieve stress. A few drops go a long way. 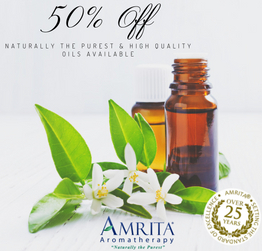 If you have never used essential oils I recommend checking them out. I have a couple that are my “go-to’s.” One of them also helps with sleep. And lastly, a very important part….. This sounds so easy, right? 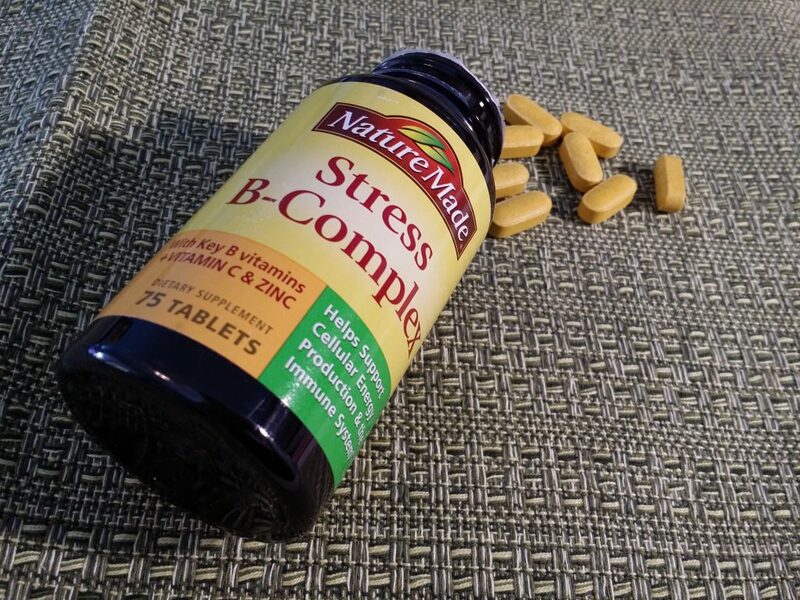 I can’t stress enough – don’t forget to take your vitamins and supplements. It does no good to buy them, but not take them on a regular basis. Sometimes we can forget because they are out of sight. If that is the case, make sure to put them right where you will see them. That is what I do. I keep them in my home office on my desk front and center. Then there will be no forgetting. Otherwise, I know of others who set an alarm on their phone as a reminder. Whatever step it takes to remember your vitamins & supplements be sure to implement what works best for you. 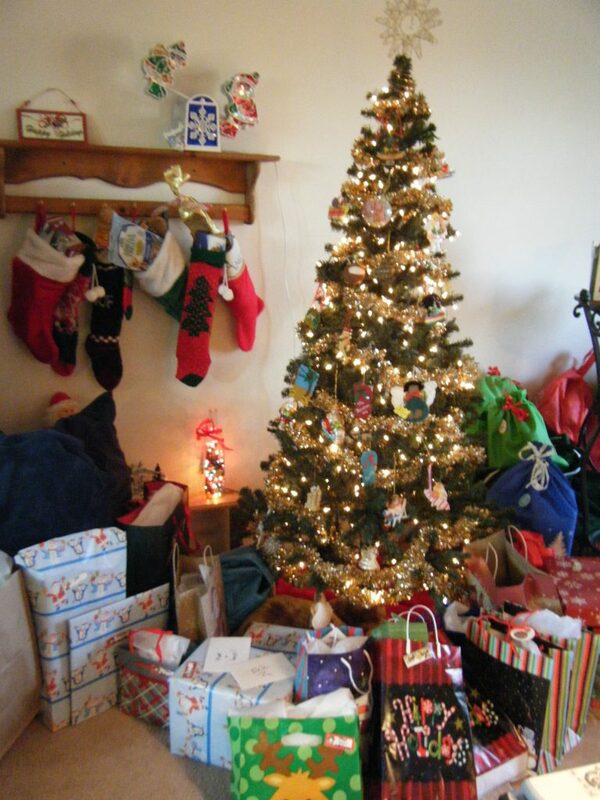 The holidays are coming and for the Newton family they are always a busy time. Every year I say I’m just going to relax and enjoy the holiday’s but every year they just seem to pass by and before you know it, they are gone. And I ask myself every January, did we even celebrate the holidays? Not to mention the cold weather winter blues which usually brings on colds and runny noses, that combined with the stresses of the winter holiday’s. And travel. WOW we all could definitely use something healthy to help get us through the holiday (+the whole year round). 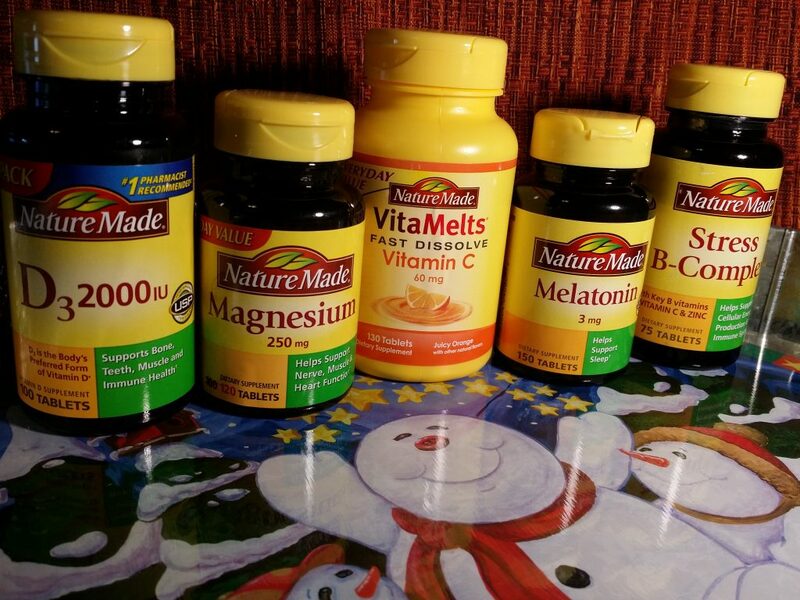 I know the Nature Made® supplements I have will get me through the busy holidays and wintertime blues and I imagine they can help you too. 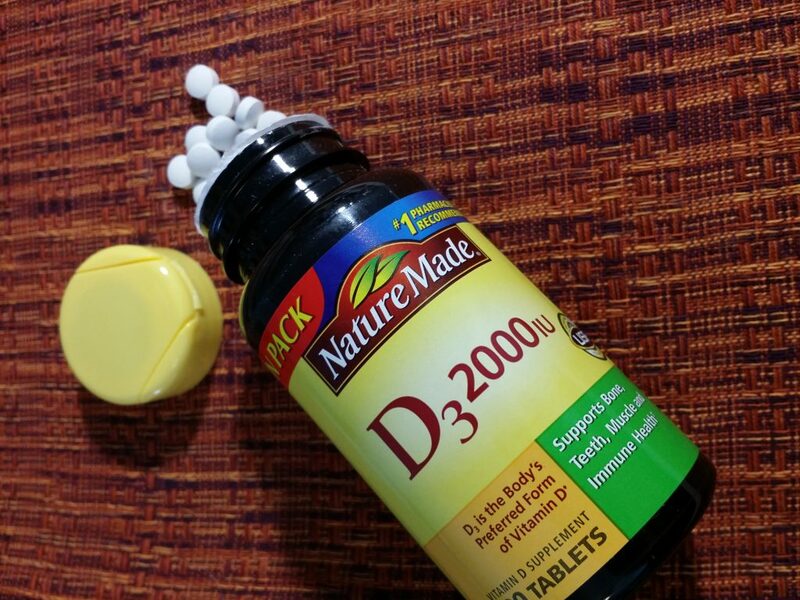 D3 2000 IU – Vitamin D helps support bone, teeth, muscle and immune health and improves calcium absorption.† If you do further research you’ll find what others say D3 helps them with. Check with your physician about a blood test to check your vitamin D levels to see if you need this type of supplement. Magnesium – Magnesium helps support nerve, muscle and heart function. 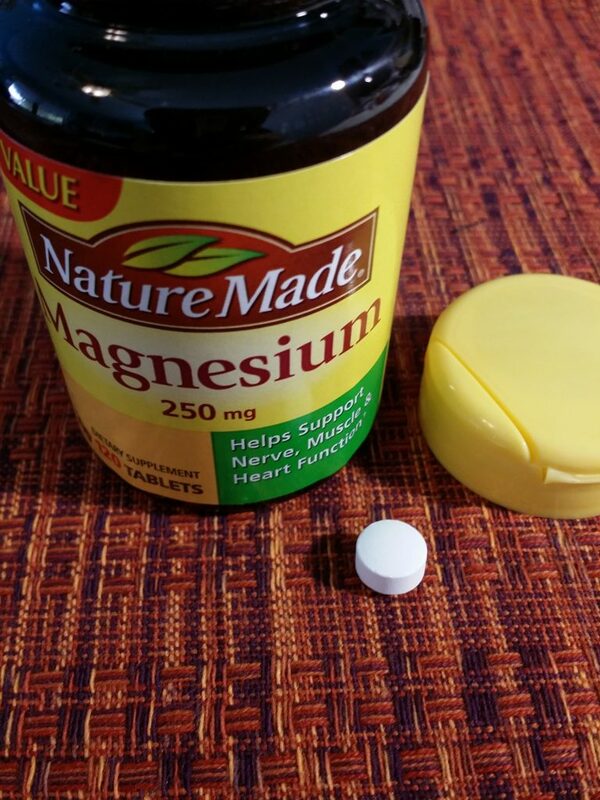 And like Vitamin D, Magnesium also supports healthy bones and teeth.† I chose to start with the 250mg tablets since I eat foods rich in magnesium like beans, nuts and green leafy veggies. *There are some sites online that have recommendations on the amount of magnesium to take, so definitely do your research. Plus always talk with your physician to verify anything you find online to make sure it’s a good fit for you and your situation. Melatonin – I love Melatonin. It helps support sleep and helps regulate sleep cycles.† Need I say more? Sweet dreams! VitaMelts® – Nature Made® VitaMelts® also help support the immune system and helps neutralize free radicals in the body.† They are fast dissolving tablets, no water needed. And the bottle says you can take up to 8 times per day.† I had never seen or heard of them so thought it would be a good supplement to add. I did a bit of research on whether I should take the above Nature Made® products in addition to my current vitamins and supplements. I also made sure I could take a combination of them together at the same time. It seemed like a lot to me and I have never taken this amount of supplements before but it’s not uncommon from what I have heard. I was already using Nature Made B12 and their Multi for Her. I’m also taking a Black Cherry supplement. I will not take them ALL at the same time but will break them up by meals. I usually take my probiotics right after breakfast and some others with lunch. Now I’ll add some supplements with dinner and I should be good to go. Hopefully this combo of supplements will help me with some of the issues I have been having. I’m ready to start feeling better that is for sure. Side note: Be sure to always check the dosage and interactions section on the Nature Made® product pages on their website. Need motivation and tips for your specific health goals? 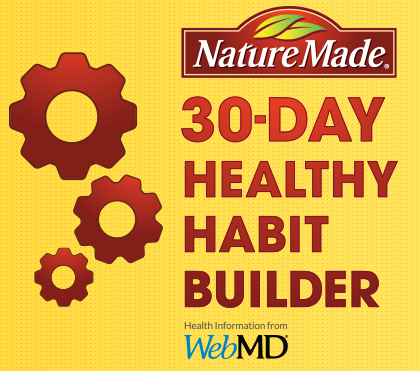 Visit https://www.healthyhabitbuilder.com and join the Nature Made® Healthy Habit Builder program. It’s a 30 day wellnesss program to help you learn and improve habits for overall good health. Just pick a goal, challenge yourself and get rewarded. Easy peasy. 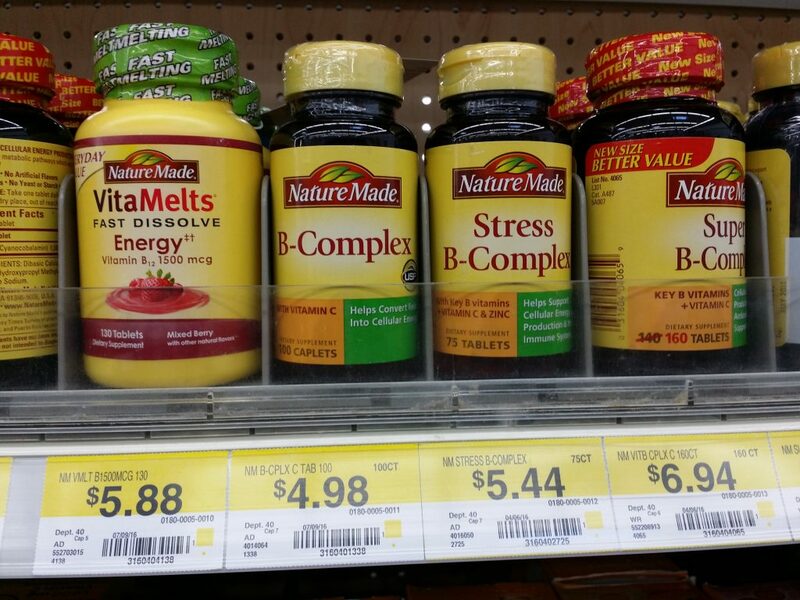 Walmart has a great section of Nature Made vitamins, supplements and more (located by the pharmacy). 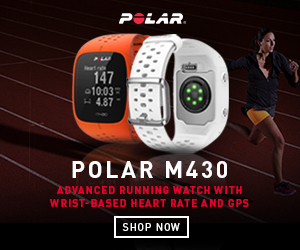 They are so affordable so you can stock up! I like to save money so buying Nature Made® products helps me with that. No need to wait for special sales because their every day prices at Walmart are like having a daily deal. Head to your local Walmart to check out their selection. 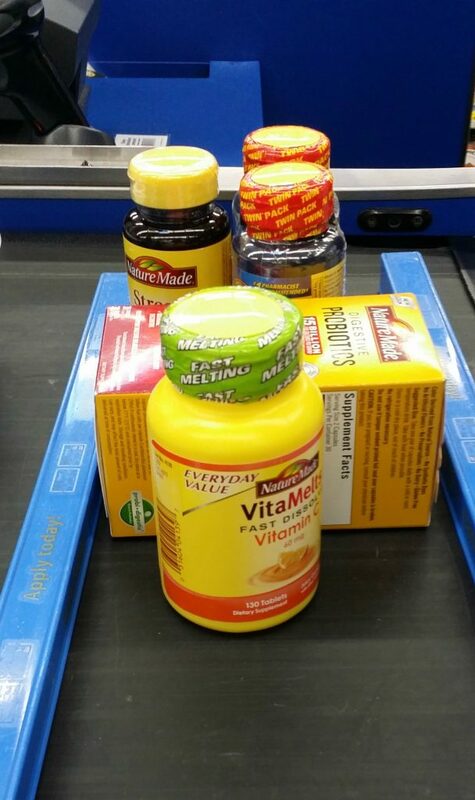 Like I said in my probiotics post (you’ll want to check it out), I’m in Walmart a couple times a week so it was only natural that I would pick up all these awesome supplements there. Be sure to head over to the Nature Made® Retailer Hub to win one of 60 Walmart gift cards worth $50 each. (No Purchase Necessary). Ready to take your health to the next level and be the best possible you? Check out Nature Made® for a whole line of awesome products to try. I wish you the most special of holidays!